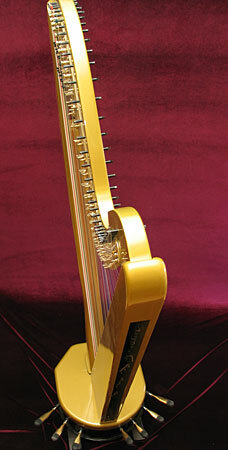 The Kortier Solid body Electric Pedal Harp represents the next generation of working pedal harps. 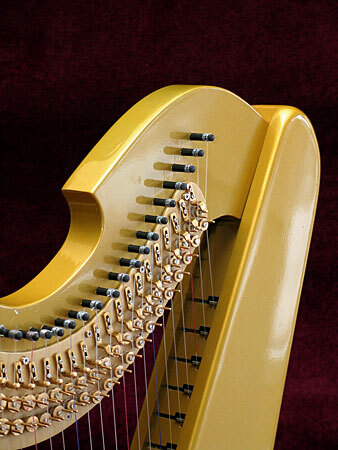 It is smaller, lighter, more durable, and (arguably) better looking than most acoustic pedal harps. 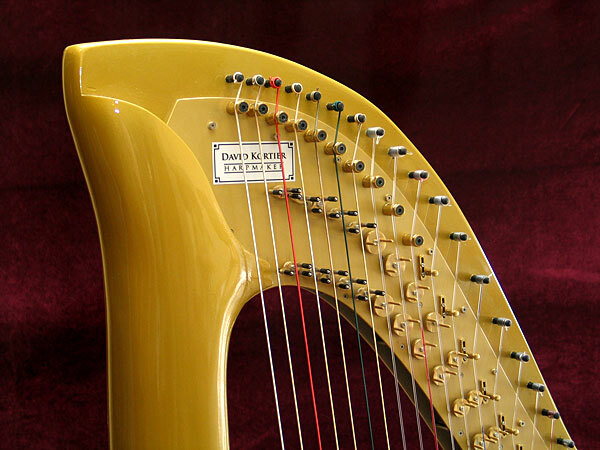 It sounds great, and can fill any space with beautiful sound. This is especially important when faced with challenging performance environments, which describes most of the places you are hired to play in these days. 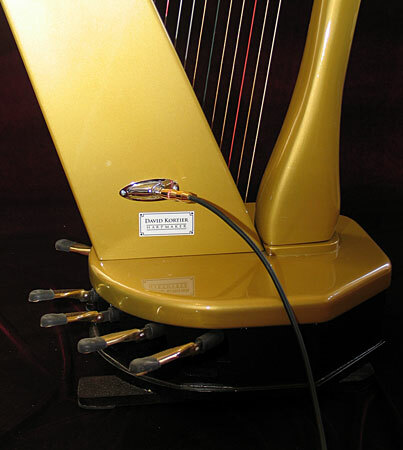 The Kortier piezo transducers (pickups) have proven to be the best solution for amplifying any type of harp.We have installed them, one on each string, for the optimum capture of all the nuance of your playing. The output is clean and clear and is totally compatible with any sound system or amplifier. 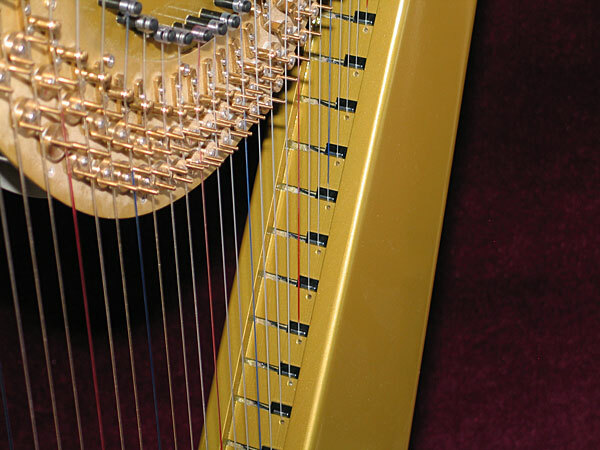 The range is 40 strings, to A at the bottom, and the double action pedal mechanism gives you complete tonal freedom.